Direct mailing or mail marketing is one of the best and low cost ways to promote a business. People put a lot of thought on the content and design and forget in a hurry that the recipient has to open the letter to read through the messages sent by you. Most of the mails are opened near a trash box and once anything unwanted is spotted the letter gets its place in the basket. So you would have half a second to convince the recipient that the mail is something he/she needs to have a look at. This is the reason why right from the envelopes to the stamps and other minute details should be given utmost attention. There are many things that make a busy recipient read through your marketing letter. 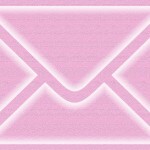 Following is a set of tricks that will ensure that the marketing letter sent by you is opened and read through. Planning – To execute a successful direct mailing campaign you should always have an idea of what the campaign can do and cannot do. Also be sure about the messages that you want to give to your prospective clients. With a good marketing content you are sure to get food follow-ups. Recipients – Make sure that the letters are sent to the right audience. To have the desired effect on your campaign a target list should be prepared well in advance. This should be done with a lot of research and analysis. Simplicity – After the list is finalized start the content development and designing plans. Make sure that the designs are not flashy and the content is not rich in jargon. Hand Addressed and Stamped Mails – Using the number 10 envelope that is readily available with the printers is a good option. The mails should contain a metered postage and a typed address which will impress the recipient. Many color schemes on the envelope may also be used to attract attention. This may be suggested to you by the printers or you might choose it yourself. Remember to have a return address on the mail. Tracking the mails – Differentiate the mailing list with a number of colors and try to find out the positives and negatives in the campaign which will help you at a later date. 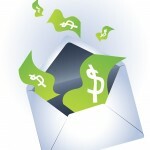 Create Enticements – Make the recipient eager by giving some lucrative information on the envelope itself. Inside the letter you should always have the most important information in the first paragraph. A P.S. Summarizing the offer should also be included in the mail. Personalize – Address each and every recipient by the recipient’s name. This makes the recipient feel unique and gives your marketing campaign an edge over others. Scannable Text – The content for the letter should use bullets so that all the information can be easily noticed. Content should be easily understandable and all the offerings should be mentioned using bold or larger typefaces. Easy to respond – Not only should you include an address but also you may give a reply card or a postage paid envelope. Frequency – Send regular follow up mails to the target list. Mails should be sent atleast six weeks apart. While planning for your marketing moves do consult the printing agency for the availability of the envelopes and the time of delivery. There are so many printing service providers but PrintPapa has many types of printing services that will meet your requirement. 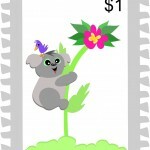 This entry was posted in Marketing and tagged direct mailing, envelopes, Marketing on December 29, 2009 by ulki.